Bournemouth’s beautiful sandy beaches are what it is best known for. In 2018 Trip Advisor’s Traveller’s Choice Awards ranked Bournemouth beach first in the UK and fifth in Europe! Apart from the stunning beach there are plenty of other things to do and see. Bournemouth hosts year round festivals including, the Air Show, Christmas Market, Wheels festival and more. The town also has a museum, an aquarium, cinemas and indoor activities for when the sun isn’t shining. 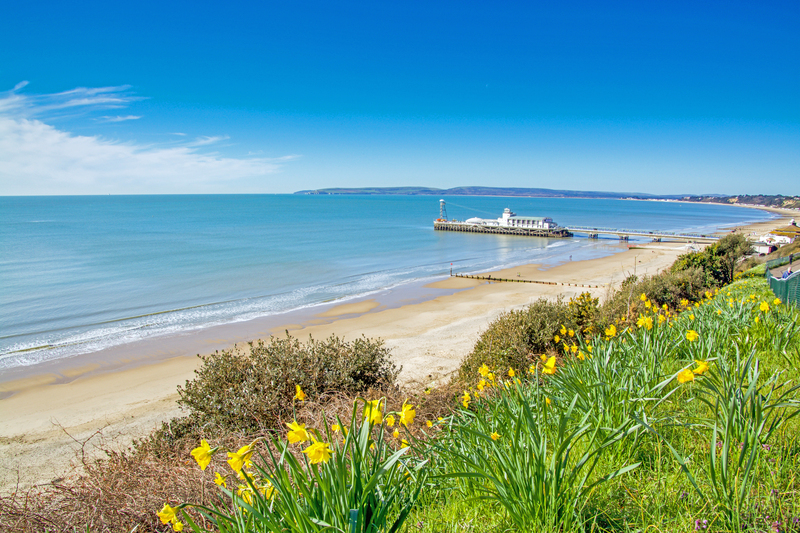 Bournemouth is a great place for those who enjoy exploring the outdoors, it has several gardens and walks along the coast to discover. Visitors can also get close to nature by visiting nearby Poole harbour and its islands with boat trips from the historic Quayside in the lively centre of Poole, or visiting the New Forest. Also see our entry on Poole for more details of the town and its harbour. Bournemouth Russell-Cotes art gallery and museum is a must see while visiting the town. 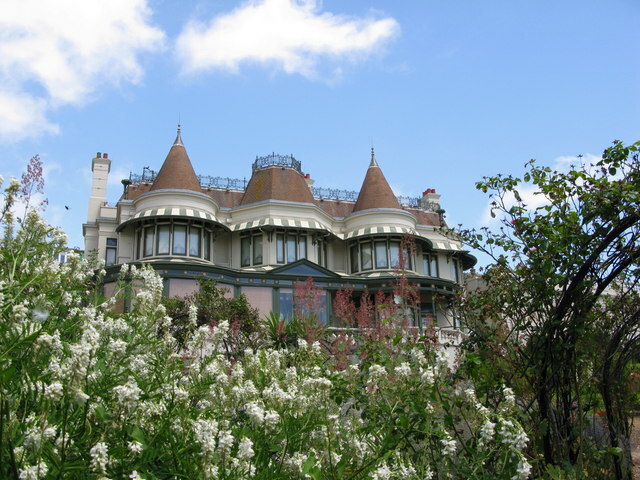 The Victorian house and gardens are inspiring and unique, with stunning views of the bay. The gallery also holds some impressive pre-Raphaelite works and worldwide collections. Bournemouth also has historical literary connections, the most famous being Mary Shelley. St Peters Graveyard is where the author of Frankenstein lies. Whilst visiting the graveyard make sure to pop inside the Grade I Listed St Peters church and admire the stained glass and gothic interior. 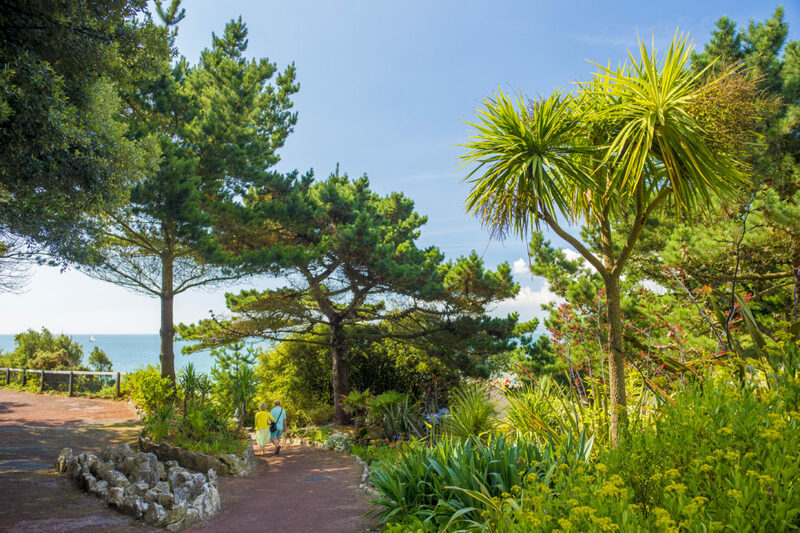 Bournemouth boasts an array of coastal gardens to explore. Running through the centre of the town are the lower, central and upper gardens. They stretch to 3 kilometres in length, and they provide an attractive range of scenery and activities all year round. The gardens have: an aviary, mini-golf course, bandstand, river bridges and tree trail walks. Visitors can follow the stream from the upper gardens all the way down to the lower gardens leading to the pier. Bournemouth has four Chines; Alum Chine is the largest and shares Argyll tropical gardens. The Gardens originate back to the 1920s where a tropical retreat was envisaged and is still enjoyed today. 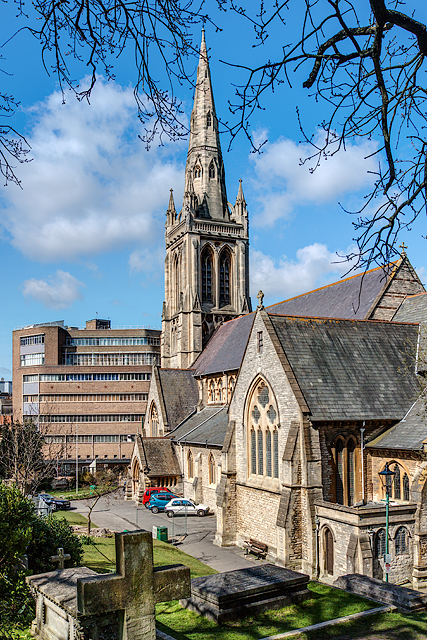 Bournemouth and Poole nestle between an array of unique coastal villages, all of them are well worth visiting. Southbourne is to the East of Bournemouth and is a great place to escape the hustle and bustle. 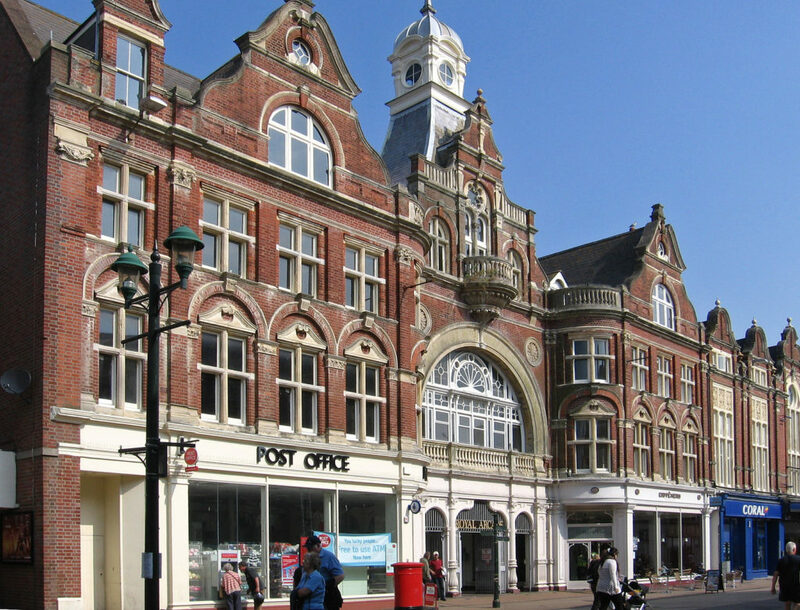 Visitors can find independent shops and coffee houses along the pretty coastal high street. The village is close by to Hengistbury Head Nature Reserve; from here you can view Christchurch harbour and the village in the distance. 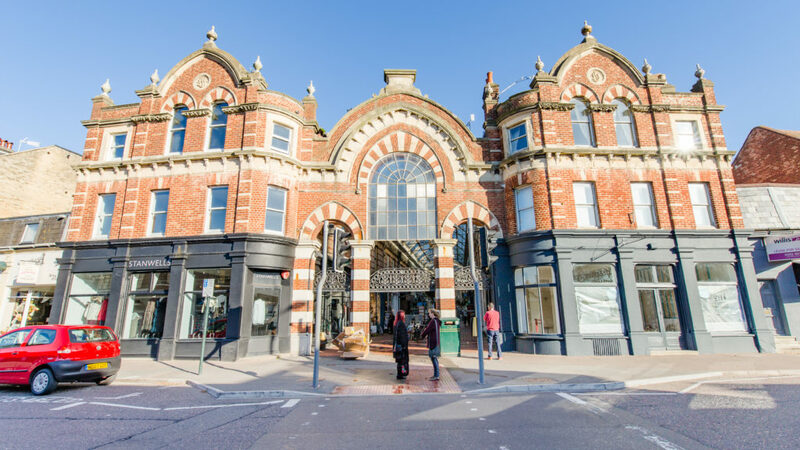 The village of Westbourne is an affluent area to the West of Bournemouth, in the centre is the Grade II Listed arcade building that joins the parallel shopping streets. Westbourne has with boutique shops, art galleries, unique vendors and fine dining restaurants. Boscombe is another village close to Bournemouth with its own pier. The village is known for its weekly market on Thursdays and Sundays where you will find lots of fresh local produce. The Royal Arcade is worth a visit; here visitors can admire the tall iron, and glass architecture while exploring the vintage shops, galleries cafes and independent shops. Visitors can reach Boscombe Chine gardens from Boscombe pier. The banks of the chine are home to a variety of trees that provide a canopy above. The gardens offer an array of scenery from formal flowerbeds to recreational areas, activities and mini golf! 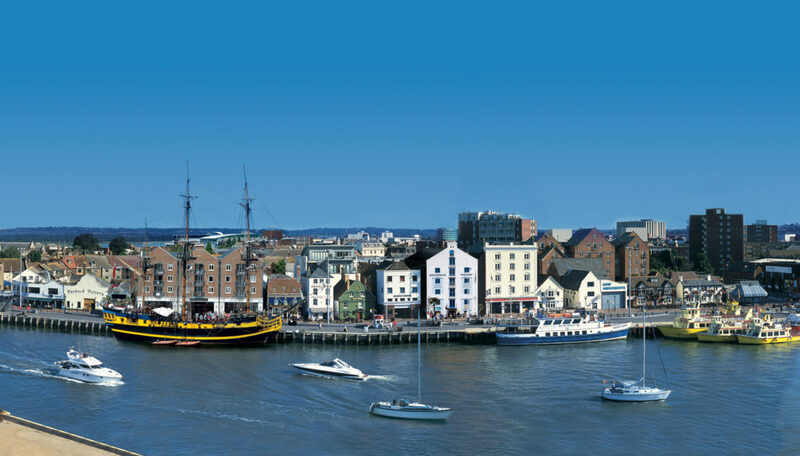 Poole’s beautiful natural harbour is the largest in Europe, and is a haven for wildlife and water sports. The harbour is home to multiple islands, Brownsea Island being the largest. Brownsea Island is owned by the National Trust and is great place to enjoy wildlife. It is one of the few places in Britain where the indigenous red squirrel survives. Poole’s Quayside is the gateway to the harbours, from here you can take the ferry to Brownsea Island. City Cruises docks at Poole quay and provides a stunning cruise around Poole harbour, Sandbanks peninsular and the Islands. Along the quayside is the RNLI College where the volunteer crew and lifeguards from around the UK and Ireland train. In the upcoming year City Cruises and RNLI will combine their tours to create a 90 minute guided tour of the fascinating RNLI College and its world-class sea survival centre which hosts a wave tank and lifeboat simulator and a 70-minute cruise around the spectacular Poole harbour. Just off the quay is Poole’s historic old town, a picturesque area with independent shops, cafes and historic buildings. Located within the old town is also Poole Museum that tells the story of the maritime town and houses over 150 pieces of world famous Poole pottery. Previous PostSurrounded by beautiful North Dorset countryside, Sturminster Newton lies in the heart of Blackmore Vale.